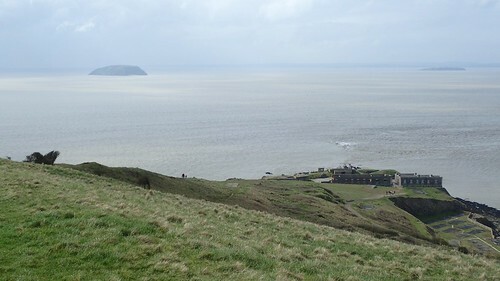 Brean Down is an area of headland that I know very well. 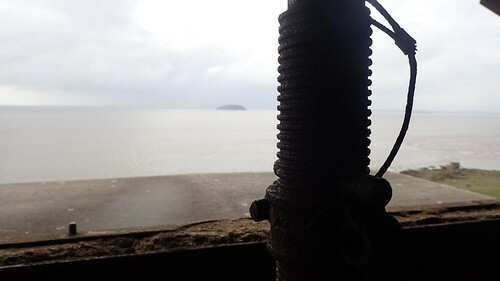 It’s owned and cared for by the National Trust, while also forming a sort of border between the seaside resort of Brean and… Weston-super-Mare. Naturally, my short walk begin with a brief climb up ‘The Steps’ – if you’ve ever done this yourself, you’ll know what I’m talking about! I can vaguely remember my first visit here, which was probably all the way back in 2013. I remember wearing a non-waterproof jacket, an ‘average’ backpack and relatively cheap walking boots… Along with how much of a challenge I found it to climb those steps. 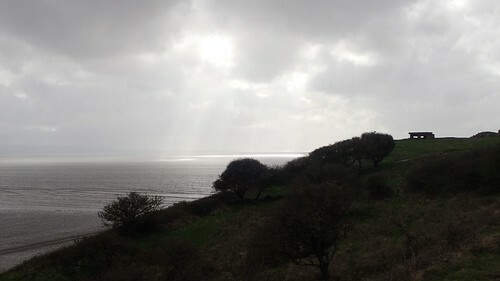 These days, I take to them as well as on any other walk and barely slow down to catch my breath before I’m on the top. Once you’re up there, you’re not quite all the way ‘up’. I often make the mistake of assuming that the old fort ruins are only a brief downhill jaunt away from the steps. 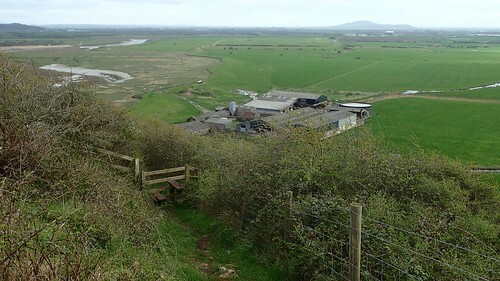 Looking inland, you can see the rise of Brent Knoll – another ancient hillfort. On the other side of this, the M5 motorway passes by. 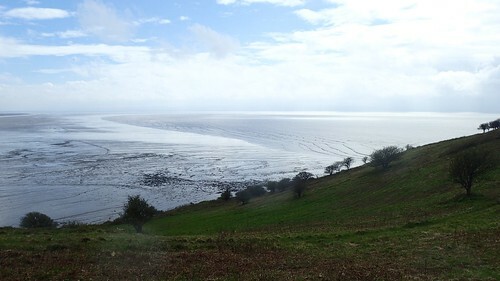 Elsewhere, it’s surrounded by the Somerset Levels. 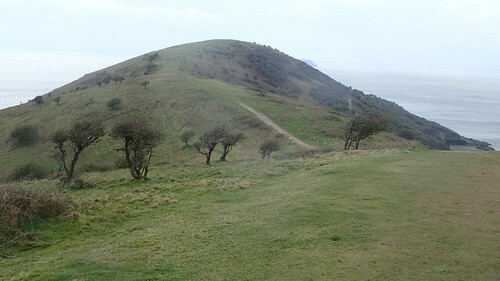 I don’t think I’ve climbed Brent Knoll for at least three years. 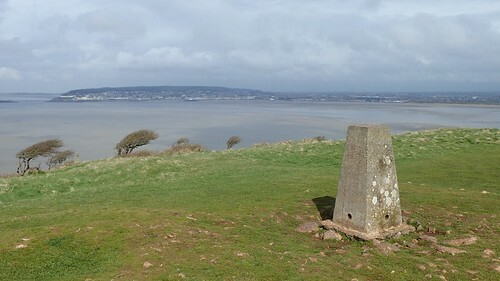 A trig point sits on top of the highest mound, at ninety-seven metres above mean sea level. From there, the route descends towards the infamous ruins of the old fort. 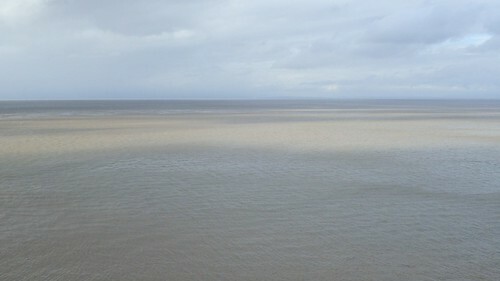 To the left, Steep Holm. 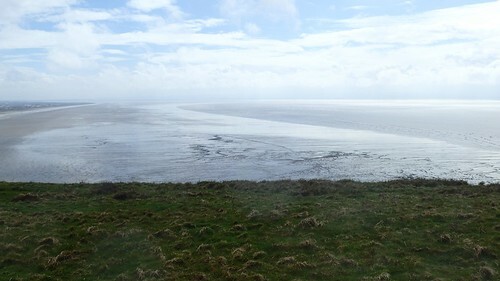 Off to to the right is Flat holm, with the coast of Wales beyond. Both of these islands can be accessed by boat for a day trip, individually (this remains on my to-do list). Part-way down on the left-hand side, there are a number of smaller buildings to be explore. 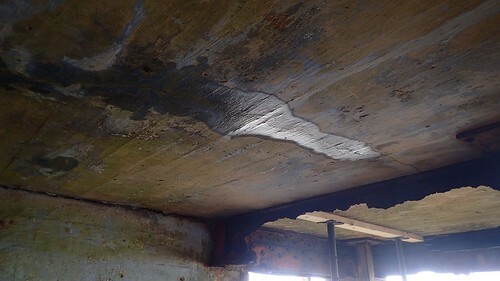 It’s clear that their condition is beginning to deteriorate. Neither the warning signs or props were in position the last time I walked here. I decided not to cross the gap and on to the old fort buildings, on this occasion. I’ve seen it all so many times that I was happy to leave the space for the many other visitors who were mulling about. 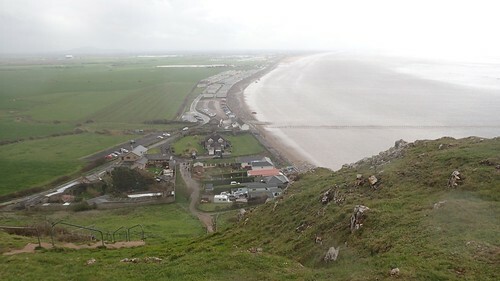 Instead, I headed down the slope to face Weston, where I stopped for a cup of tea and a couple of snacks, with minimal shelter from the wind and a different view to appreciate against the norm. Heading west from here, you would potentially exit the Bristol Channel and cross the Celtic Sea to reach the Atlantic Ocean, without any immediate interruptions. Mind-blowing, isn’t it? Miles upon miles of ocean. I managed to complete this walk without finding myself caught in a downpour, as much as the clouds overheard appeared to threaten. 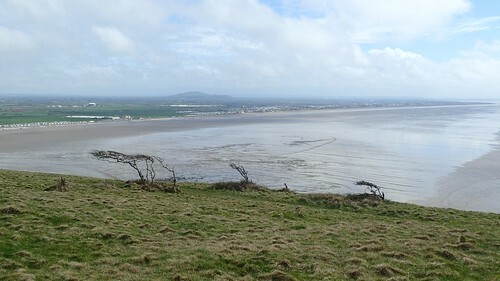 Beyond the stile lies Brean Down Farm. 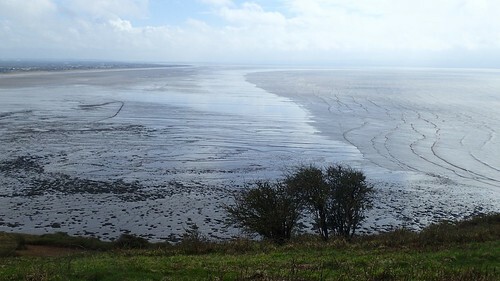 Beside which, runs a public right of way that is interrupted by the muddy banks of the River Axe, where it meets the Severn Estuary. Currently, there are signs down there to deter people from walking on. 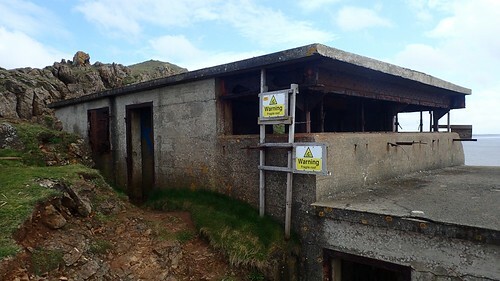 I forever look forward to witnessing the resolution here, as it’s inevitable that some form of crossing for the Axe must be implemented, to meet the future completion of the England Coast Path. 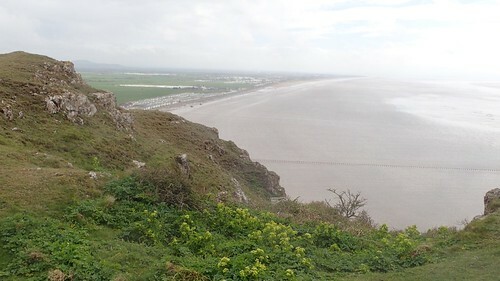 If you’ve not been before then, Brean Down is an excellent place to visit and explore. 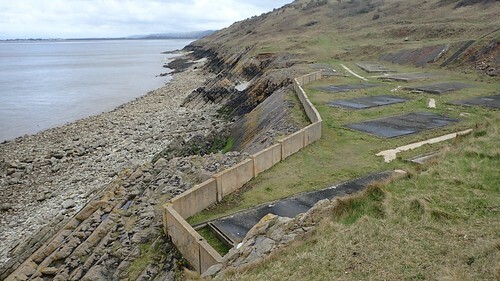 A lot of history exists upon the western end of the headland. Car parking is free for National Trust members, with a fee payable otherwise.